In an arresting way, the Marquette Building does far more to connect the man or woman of the present with the distant past of this particular part of Chicago and this particular part of America than the beautiful but anodyne glass and wood foyer across the street will ever offer passersby of the future. 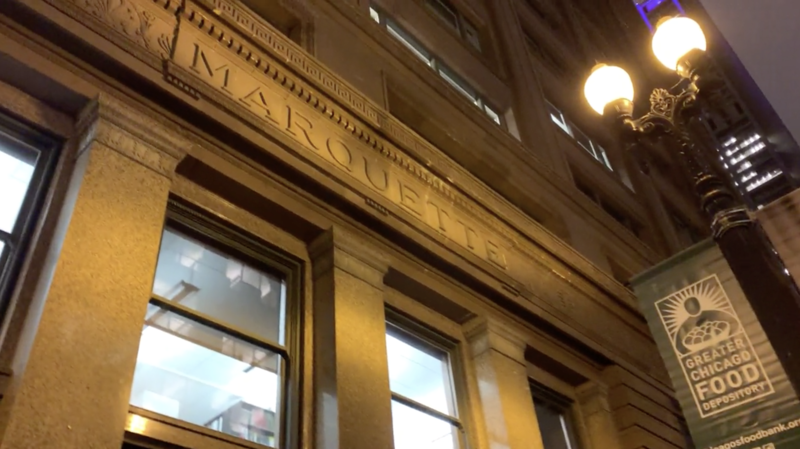 What I mean is that the Marquette Building offers people like me who walk by with the chance (even if only in the thinnest way) to connect with a bit of America’s far distant past and to encounter, in some sense, the realities of a far different generation of explorers and indigenous peoples. It knits together disparate generations and offers the chance of a sort of spiritual, or at least civic, wholeness.